Approved Trakehner stallion Virginian Sky comes from impeccable European performance bloodlines that have produced Olympic competitors in the three major equestrian disciplines of eventing, dressage and show jumping. 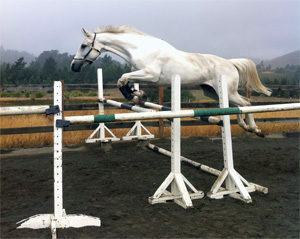 As the only Anglo-Trakehner stallion available to breeders in North America he is truly a unique genetic treasure. Four Star Farm is pleased to offer you a unique opportunity when you decide to breed to Virginian Sky. You breed to Virginian Sky, and we will actively help you to sell your foal. However, if you choose to raise and develop your own future riding horse, or you want to take advantage of a bigger and more profitable market at a later stage in your foal’s life, you can bring us your three-year-old Virginian Sky offspring and get a reduced rate for training from Four Star Farm owner, four-star event rider Natalie Brady. 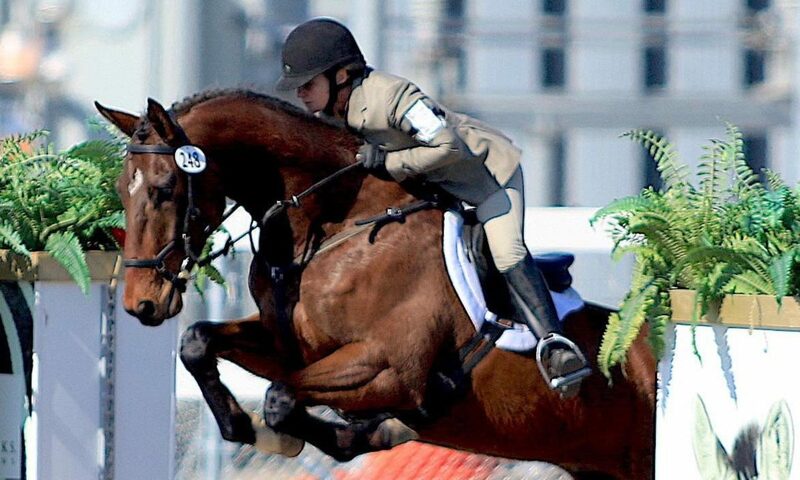 Natalie has an outstanding track record of starting young Trakehner horses, and her success as both a gifted rider as well as a well-connected horse broker give you a head start with your Virginian Sky offspring. Natalie also has an obvious vested interest in seeing all of Virginian Sky’s offspring become successful competition horses. Please contact Natalie for terms and conditions of this unique opportunity. 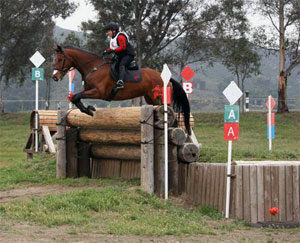 This 17.1-hand gelding has competed in three-day eventing at Intermediate. He is Natalie’s big lap dog and an escape artist extraordinaire with his dexterous lips! 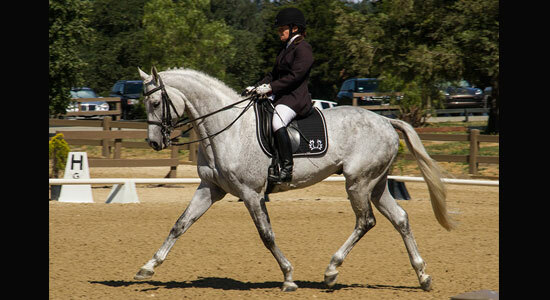 Jefferson, barn name “Jedi,” is schooling upper-level dressage movements, including piaffe.